State correctional officers and local law enforcement are seeking Rutherford Correctional Center minimum custody inmate Jeremy Keith Fincannon (#1384359), who was determined to be missing after a 7:30 a.m. routine count of offenders on Thursday. Fincannon, 22, is a white male, 6 feet tall, 171 lbs. with blond hair and blue eyes originally from Rutherford County. 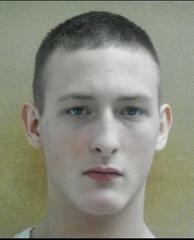 If you see Fincannon, please call local law enforcement or Rutherford Correctional Center at (828) 286-4121.